Barbera from the Piedmont region in Italy often surprises people. 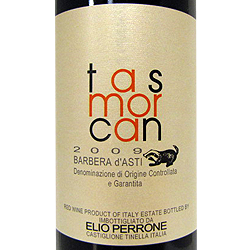 Many expect a more austere and savory wine and are surprised to find Barbera quite round and supple. This offering has ripe fruit, floral notes, and a smooth finish in a very international style. Check it out as an alternative to Malbec or Merlot. It runs approximately $14. Raise a glass!